My TBR pile is so big that I haven't acquired any new books as of late. Must get that pile down. 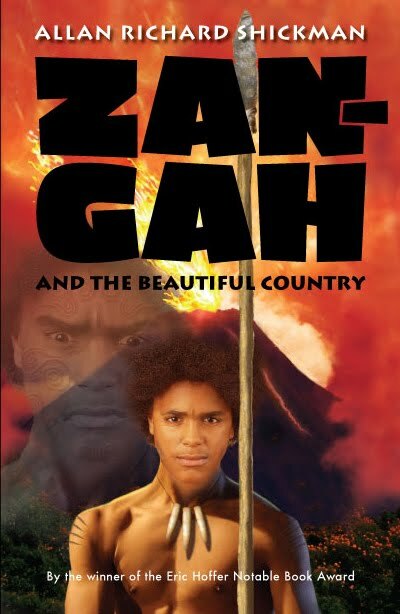 I am reading the first Zan-Gah book. Liking it too! I also received the Zan-Gah books! I have never heard of these books but they look very interesting! I hope you enjoy them! Eileen, my TBR is also quite large! Thank you for stopping by! Beth, thank you for your comment. More comments would be wonderful. I have these too! I need to read them soon. I never heard of these but hope u enjoy them. I had not heard of these books, but they look really interesting to me. I hope you enjoy them and will be looking forward to your reviews and the giveaway! Vivienne, I think you'll enjoy them! Diane, they were new to me, too. Serena, thanks so much for stopping by. More Mailbox Monday comments welcomed. Mel, thanks for stopping by. I'm glad you found more Lisa See--and on sale, too! I haven't read Peony but I read and adored Snowflower. I look forward to your reviews. I'm going to check out your Zan-Gah review right now. I turned these books down because they aren't my cup of tea, but I've been hearing good things about them.